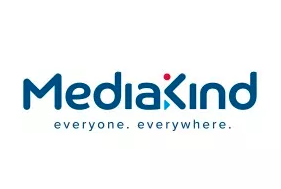 MediaKind – formerly Ericsson Media Solutions – is strengthening its collaboration with entertainment services provider Tangerine Global, by enhancing the latter’s CITRUS managed solution with new cloud-based capabilities. Based on MediaKind’s MediaFirst software as a service (SaaS) platform, the end-to-end media solution enables small and mid-sized pay TV operators to provide immersive OTT offerings, with the potential to scale further in the future, according to the companies. Tangerine Global is the system’s integrator, service provider and 24/7 monitoring and support centre. The enhanced CITRUS solution offers a pathway for existing Mediaroom customers to enhance their on-premise IPTV deployments, by leaning on the user experience and OTT delivery capabilities of MediaFirst, a member of the Orion family of solutions that forms part of the wider MediaKind Universe portfolio that is debuting at this year’s IBC. Alternatively, according to the pair, by partly migrating deployed services to the CITRUS cloud, Mediaroom customers can reduce existing OPEX, including platform upgrade support and licensing costs. The hosted, multi-tenant managed solution combines traditional pay TV service quality and content depth, alongside the personalisation, interactivity and multiscreen viewing capabilities of OTT TV, according to the companies. CITRUS provides pay TV operators with the benefits of cloud technologies and web services, including offering more effective content recommendation through MediaFirst’s data analytics. MediaKind is exhibiting at IBC on stand I.D61.